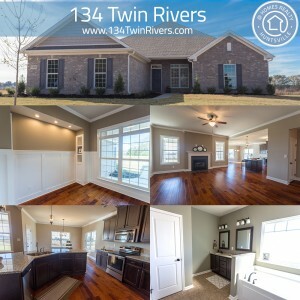 This newly constructed Trent Home is for sale in Hazel Green, AL! This brand new full brick home offers you the convenience of town, but with the peace of the country. 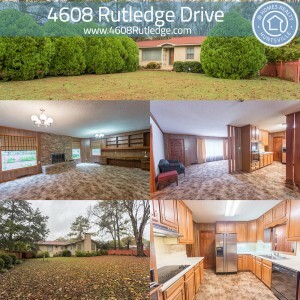 Situated on a nice sized lot, this home offers 3 bedrooms and 2 baths, and a 3-Car garage! Inside you’ll find granite countertops, hardwood and tile floors, stainless steel appliances in the kitchen and a glamour bath and bonus sitting room in the owner’s suite. Outside this home has a covered back porch as well as a sodded yard. Click here to learn more! 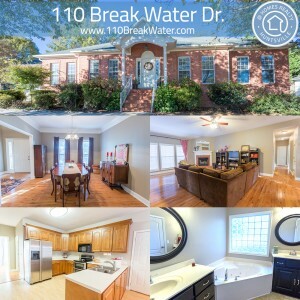 Take a 3D walk through of this fabulous retro rancher in the heart of Huntsville is move-in ready with a great floorplan! Built in 1964, the best of the era shows in this cool home! It features TWO living areas! The enormous den opens into the kitchen and dining room and has large single pane windows looking out into the private back yard. You’ll love the large brick fireplace with a substantial hearth and built-in shelves and cabinets. Custom solid wood cabinetry in the kitchen which also has an abundance of counter space and storage. The large owner’s retreat features a private bath with a separate makeup area and walk-in closet. The laundry room off the kitchen offers plenty of built-in storage space. Click here to learn more! This beautiful brick ranch home in Mt. Carmel is for sale! Come enjoy the good life offered in Mt. Carmel with swimming pools, a clubhouse, fishing, canoeing, kayaking, tennis, and volleyball! Enjoy the gorgeous view of the water from this well-maintained home. Inside you’ll find an open floor plan with 4 bedrooms, 2 bathrooms, hardwood floors, a glamour bath in the large owner’s suite, a formal dining room, fireplace in the living room, 9 foot ceilings and an over-sized 2-car garage. The large privacy-fenced backyard also features a large wood playset which stays with the house as well as a sprinkler system. Make sure to walk through this home with the 3D tour! Click here to learn more! Check out other new listings in the area below! Guess It’s Finally Official – Google Likes Us?